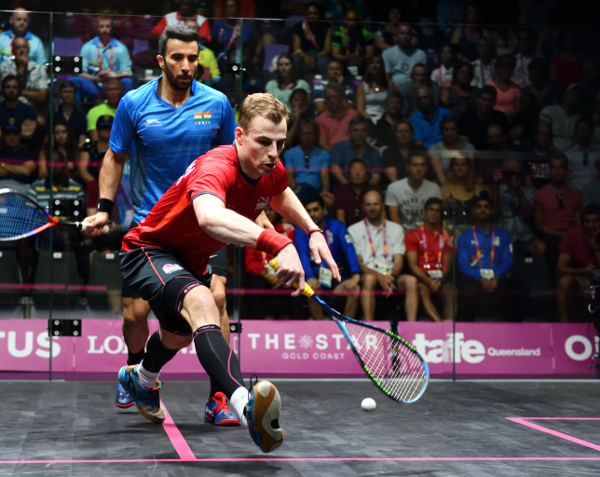 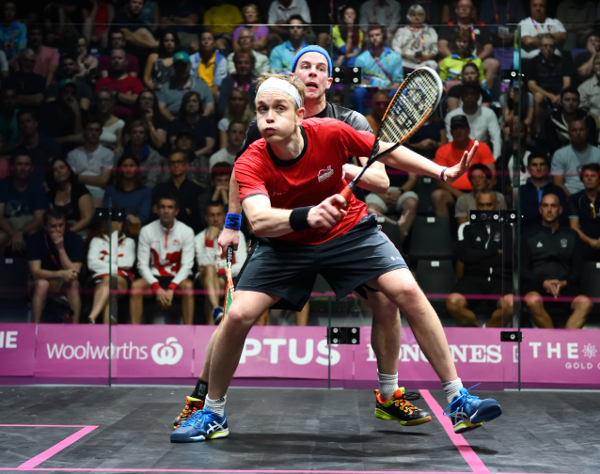 It was a good day for the seeded – and the British – players on Day Two of #CommonwealthSquash as the quarter-finalists were decided with no seeding upsets – but a couple of scares – to report. 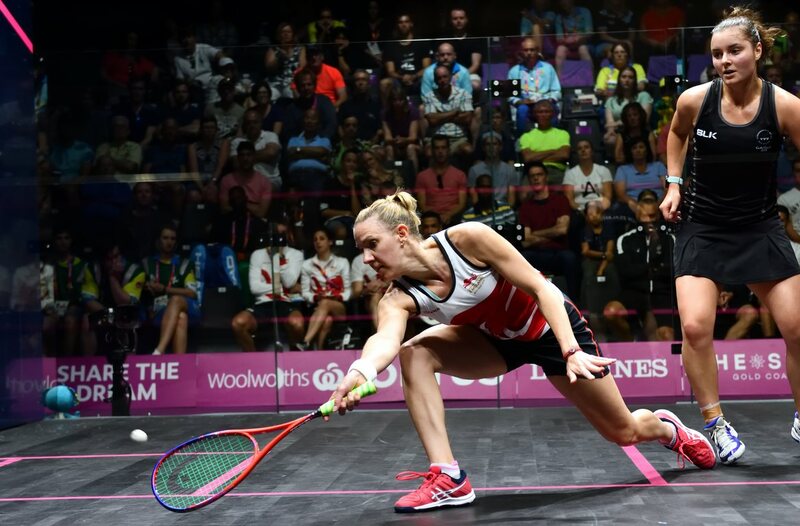 The women’s quarter-finals will be contested by the top eight seeds, with number one seed Laura Massaro taking on reigning British Champion Tesni Evans in a mouthwatering Anglo-Welsh encounter. 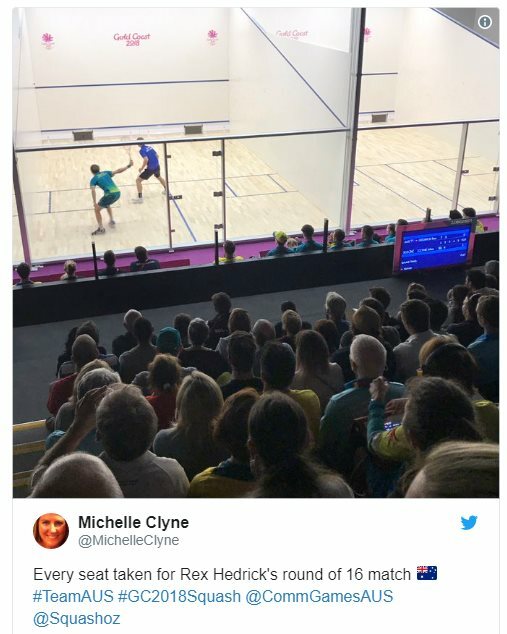 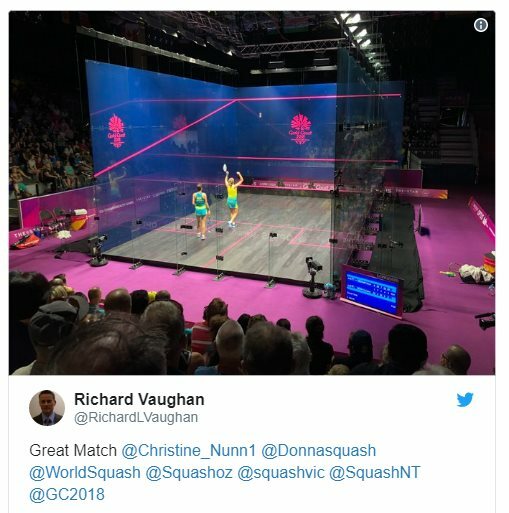 Both won their round three matches in a little over half an hour, but it took Australia’s Donna Urquhart twice as long to overcome compatriot and reigning Australian champion Christine Nunn in a five game tussle. 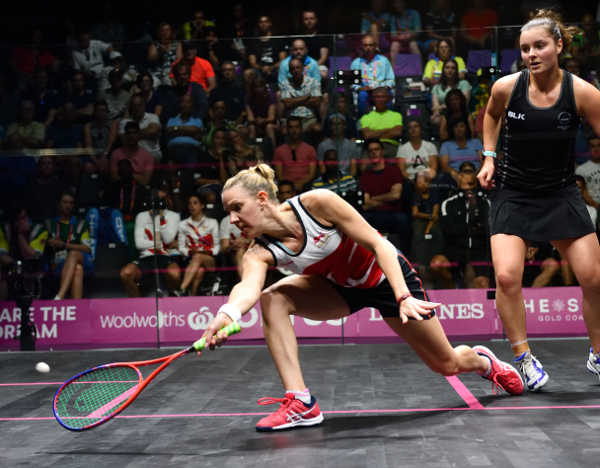 Urquhart meets England’s Sarah-Jane Perry for a place in the semis. 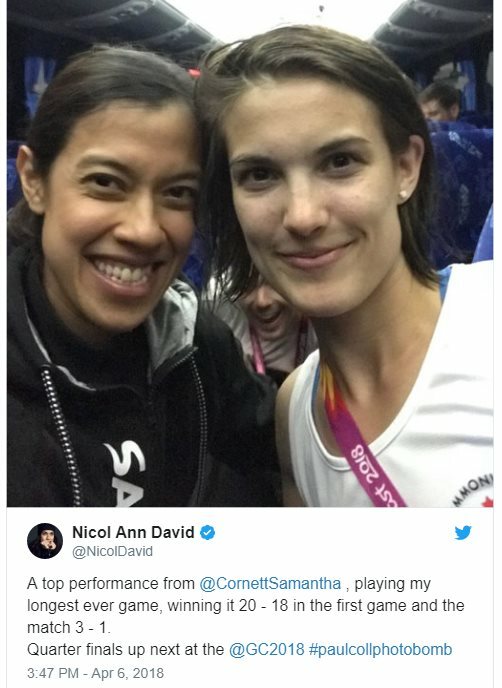 Two-time defending champion Nicol David was given a fright and a tough workout by Canadian Sam Cornett before the Malaysian third seed pulled through in four games to set up a quarter-final against England’s third quarter-finalist Alison Waters. 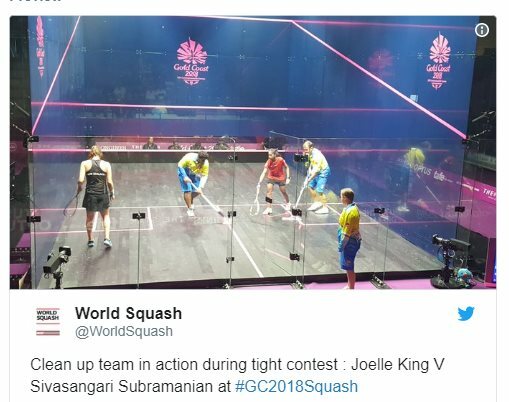 Second seeded Kiwi Joelle King was also given a fright as Malaysian teenager Sivasangari Subramaniam fought back after losing a quick opening game to lead in the third, but King reasserted to win in four games, and she’ll face India’s last representative Joshna Chinappa in the quarters. 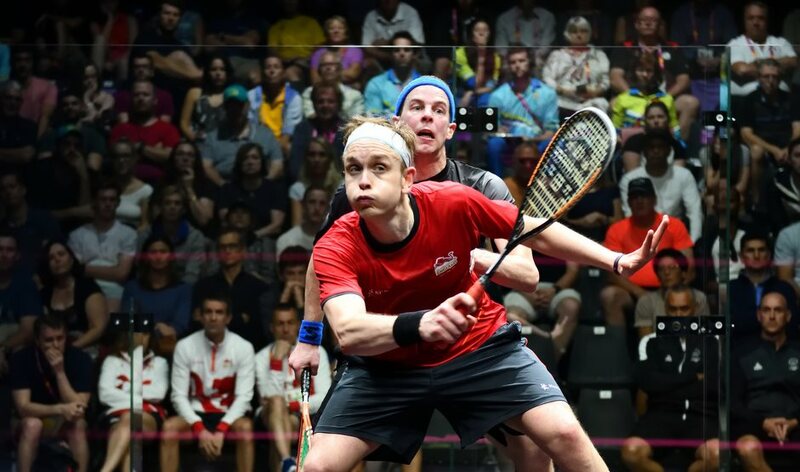 The day started and ended badly for the Australian men, with sixth seed Ryan Cuskelly forced to withdraw with a leg injury, and the day concluding with a win by Scotland’s Alan Clyne to end the run of Rex Hedrick. 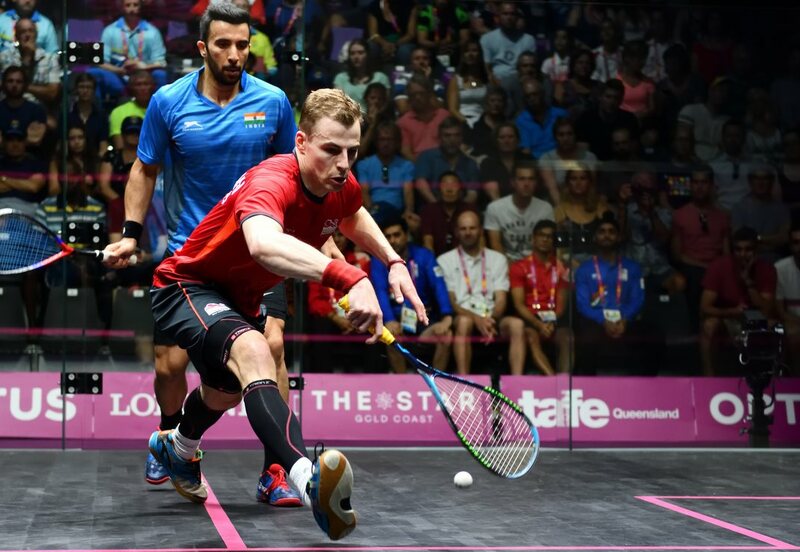 Cuskelly’s withdrawal put Malaysian Nafiizwan Adnan through to the last eight, where he’ll face top seed and defending champion Nick Matthew, who came through a tricky four-game encounter with Indian Vikram Malhotra. 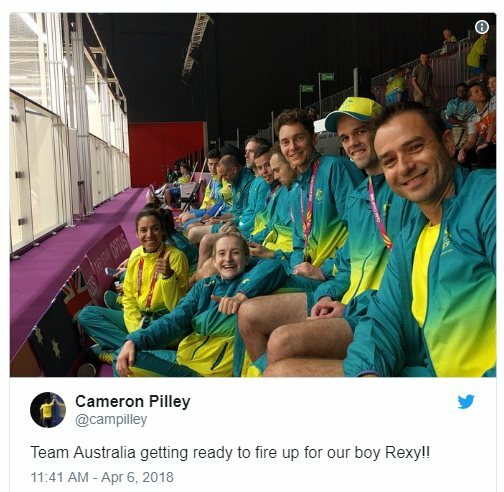 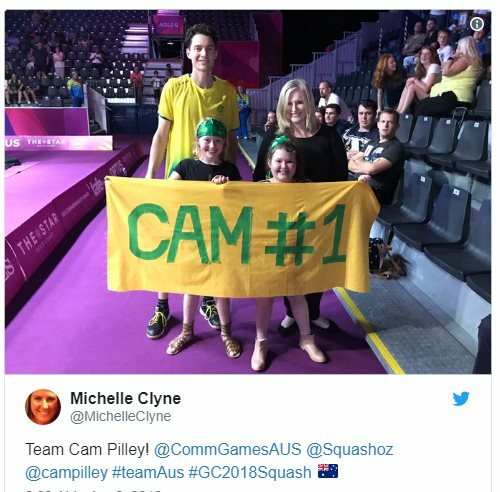 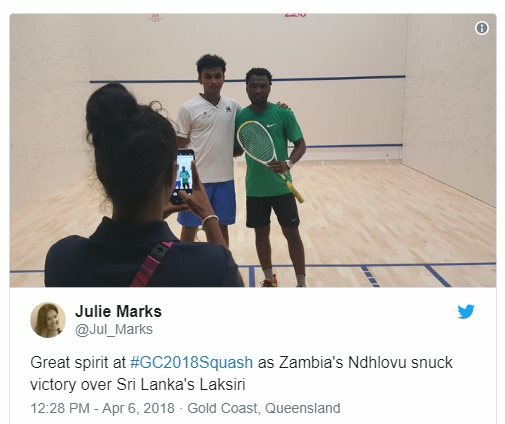 Cameron Pilley ensured home interest in the men’s quarters as he ended the run of Jamaica’s Lewis Walters, and he’ll face James Willstrop, who came through a tough four battle against Kiwi Campbell Grayson. 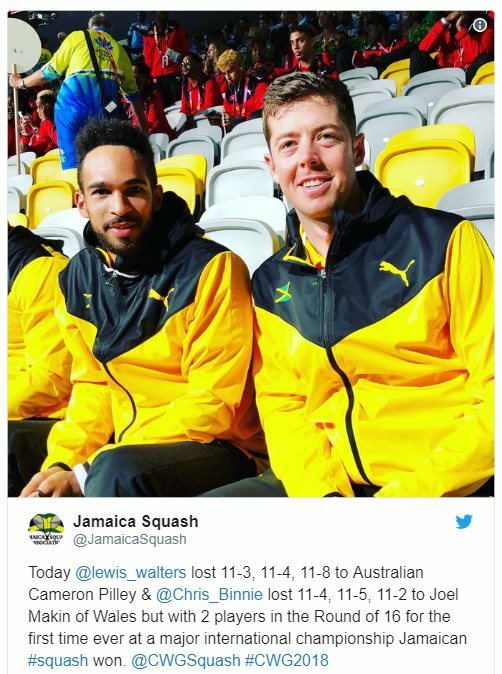 Clyne’s opponent will be Welshman Joel Makin, who ended Jamaican hopes with a three-nil win over yesterday’s giant-killer Chris Binnie. 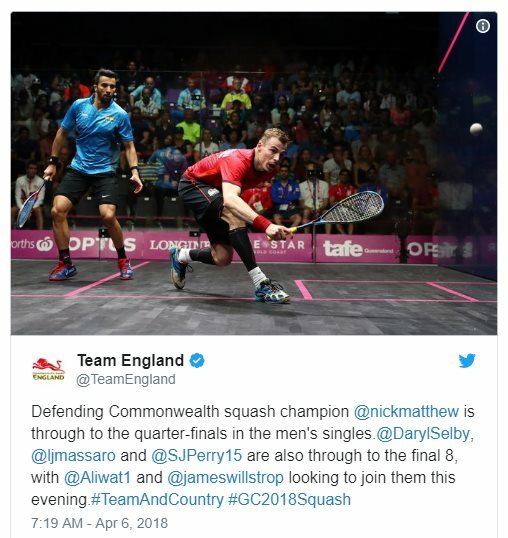 Daryl Selby was the first of three Englishmen to reach the quarters, beating Greg Lobban in four games, and he’ll meet second seeded Kiwi Paul Coll for a place in the semis. 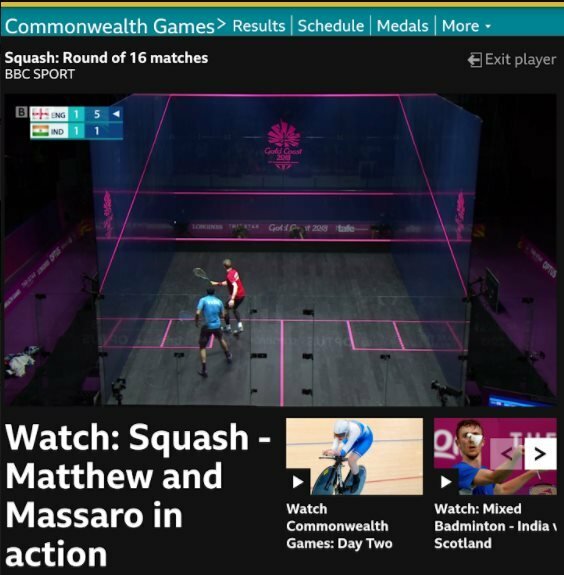 All the quarter-finals take place on the glass court, and hopefully you’ll be able to watch on the various TV and Streaming services that are covering the action (in the UK the BBC Sport app will carry all the matches).